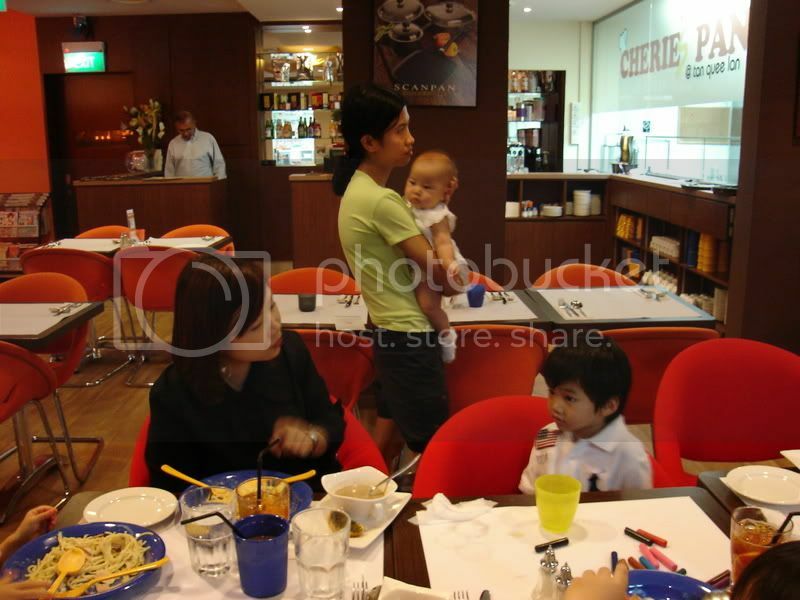 Across 2 Cultures - Cross-Culture Parenting and Lifestyle Blog: We're in Singapore again! Well well well... We're in Singapore for our annual trip to see family and friends. We left Paris on the night of the 8th, arrived late afternoon on the 9th and since then have been enjoying a packed but fun time. Laetitia is finally setting back into a good rhythm and I am also able to take some time off alone to meet some friends. Thanks to my sis, Doreen who kept her addition domestic helper for another month so that there could be someone devoted to watching Laetitia, I feel more at ease leaving her at home while I go out. And finally meeting with some friends. I cannot believe that I forgot to take pictures when we meet Jaimie and Michelle for lunch but the good thing is, we will be seeing more of the both of them. 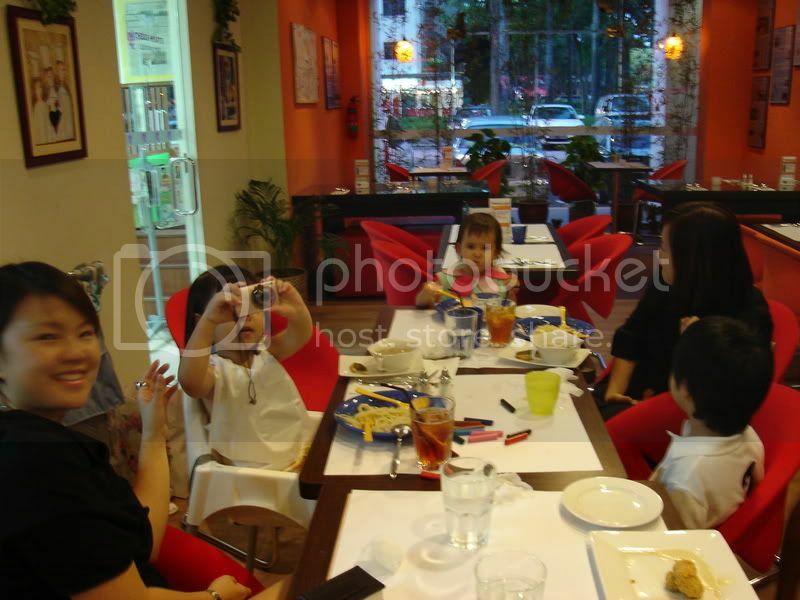 But here is the dinner date with Kylan, Kylene and Trixillia (and of course their mummies). A shot of Trixillia taking a picture of me while I was taking a picture of them. And here is Kylan and Kylene with Dolly and her helper. We have 10 more days here in Singapore so I suppose there will be more photos coming. On a different topic, although Laetitia is sleeping well now, I, on the other hand, am not doing so good. I have a tendancy to fall asleep after putting her to bed at 8pm or maybe an hour later BUT I wake up all the time around midnight and cannot get back to sleep until 2am or later. And to add to that, I have a splitting headache. I hope things get better for me soon. Ciao. Thank you for sharing this. It was a great guide on how to blog properly.